I have been meaning to do this for a long i time. Since the release of the amazing Halloween Box set that was released back in September of 2014 and the Friday the 13th set in September of 2013, at least. The two box sets mentioned were, in a word, EPIC!. With both we got to see every single Halloween film together, with original art work, in one box set. The only thing lacking in both were great documentary’s. Although, Halloween II and Halloween III: Season of the Witch are the Scream Factory editions and look great with good docs. Of course, Nightmare and Friday do not need a doc, since they both got the 1428 films doc treatment, Never Sleep Again and Crystal Lake Memories. The Halloween and Friday the 13th sets also have the remakes included. 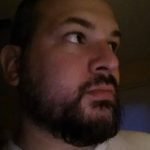 Let’s talk about the Blu Ray collections a little. The picture quality is not too bad and each film being newer than the last helps. A Nightmare on Elm Street is a complete port from the single edition that was released before the box set. The quality is amazing, the sound quality is great. The rest of the films suffer. Freddy’s Revenge looks the worst of the series. My biggest issues with this set, the audio is off, really bad. It is fine in the first film, but I sat through all 7 titles and it was worse with each movie. 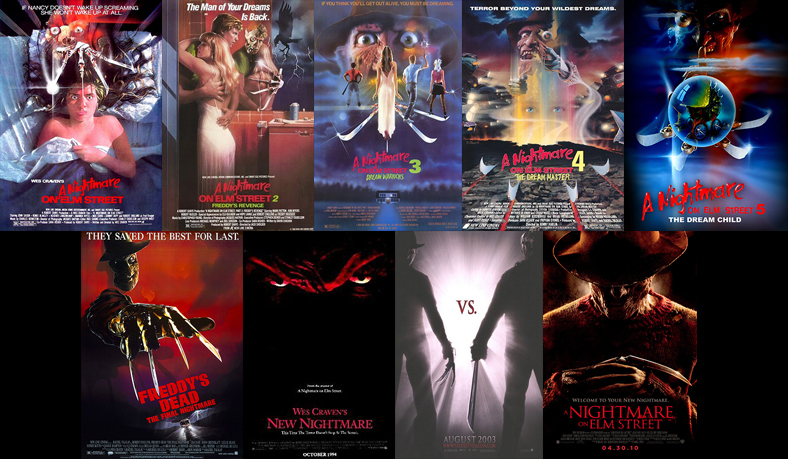 Pisses me off, the Nightmare films are my favorite horror franchise. I thought it was my copies, nope! I have encountered numerous people with the same issue, it seems to start with Dream Warriors and go from there. I didn’t notice any issues in New Nightmare. There are some fun docs and little interviews with the set. Maybe I am spoiled by the Scream Factory releases and the other two of the big three 1980s horror franchises. But this feels like a generic attempt at a release for possible on of the best horror series of all-time. A Nightmare on Elm Street alone, is one of THE greatest horror films made, it is a classic. 30 minute, brand new documentary for each film. Horror’s Hallowed Grounds episodes for each movie, they have two for the original Nightmare film. All 9 original movies with re-mastered video and audio. New commentaries with the directors and stars for each movie, with the exception of A Nightmare on Elm Street, since Wes Craven did one and he is no longer with us. Trailers, TV Spots and of course Music Videos by Dokken, the Vinnie Vincent Invasion and others. As fans of a horror franchise that grossed $457 dollars worldwide, we deserve an awesome Blu Ray box set. The Ulitmate Nightmare box set. Take notes from Scream Factory, look at the Halloween box set. This may not happen, I am overall not happy with the box set we have. The DVD box set was much better, I do own both. But the Blu Ray’s can look so much better. Maybe I am spoiled, who knows, but I expect better for this horror franchise. What do you think? Are you happy with this Blu Ray set? Is there anything you think should be included in an Ultimate Nightmare box set? Let us know on Facebook or @HorrorSyndicate on Twitter.